The traditional VC landscape is changing. But every startup looking to crack notoriously slow-changing industries must pack some muscle to make even a dent. 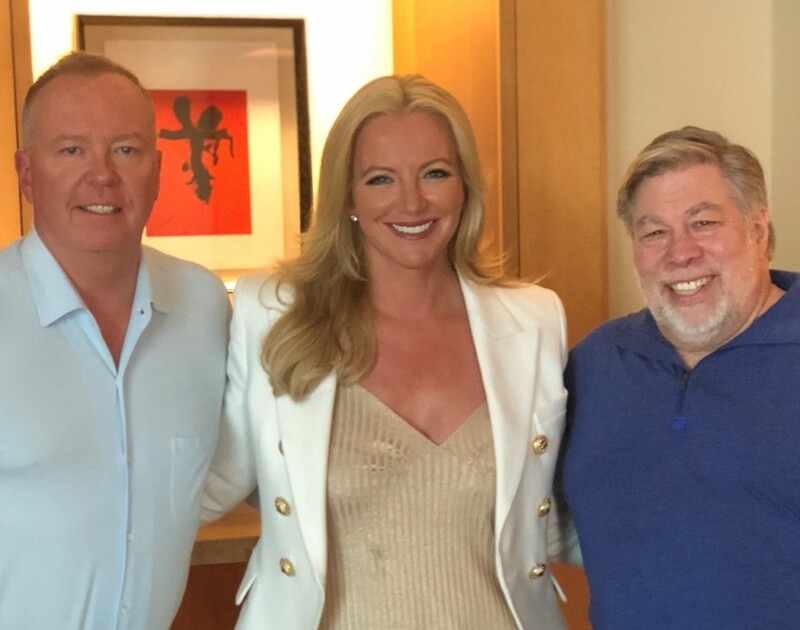 So given entrepreneur extraordinaire Michelle Mone has teamed up with an Apple co-founder, it seems likely her latest venture could make a success of disrupting the old school investment sector. Mone launched EQUI Global, the investment platform, earlier in 2018 together with her boyfriend and businessman Doug Barrowman. What sets the platform apart from others is that it uses blockchain technology to sell its own cryptocurrency – named EQUItokens. This means investors can buy into the fund by purchasing tokens and, more importantly, cash out at any time convenient to them. It’s this flexibility that has now convinced Steve Wozniak, co-founder of Apple and inventor of the first Apple computer, to join Mone and Barrowman’s enterprise. He said it “is about the second time in 20 years” that he’s said yes because the concept was something he believes in. Wozniak will front the company’s technology investments and headhunt the next big names in tech. Moreover, after Wozniak brings in fresh investees, EQUI’s board of entrepreneurs are primed to mentor and guide them to success. While tech will make up 80% of EQUI’s investments, 20% will go to startups in sectors like real estate, art and vintage cars. Commenting on what made EQUI so special, Wozniak said, "I get ideas pitched to me every single day, in fact dozens, and I always say no. Since I co-founded Apple with Steve Jobs, this is about the second time in 20 years that I actually said yes, I want to be a part of this. It has to be something I really believe in and I really believe in EQUI." Wozniak continued: “I know that we have something very special with EQUI. I've since enjoyed giving my feedback to the technical side of the initiative and will very much be an actively involved proud co-founder." Considering EQUI is already eyeing more than 20 businesses, the VC landscape may change faster than expected.